The solar photovoltaic system compared to other renewable energy sources has many merits, writes Mallika Naguran. SINGAPORE, 20 July 2017. Photovoltaic systems, wind turbines, hydropower... there are a number of renewable energy technology out there that generate cleaner energy compared to conventional fossil fuels like coal, oil and gas. But compared to most renewables, solar photovoltaic come out significantly better in terms of secondary impacts such as water use, greenhouse gas emissions, pollution and social disturbance. Solar is greener than most renewables. All this points to PV panels being greener than most other renewable energy sources, both in terms of manufacturing, operating, environment disturbance and emissions. What do you think? 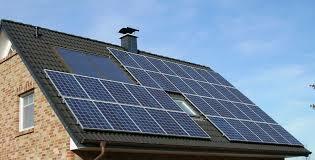 Do you use solar panels or are thinking of installing a few? Leave your comments here.